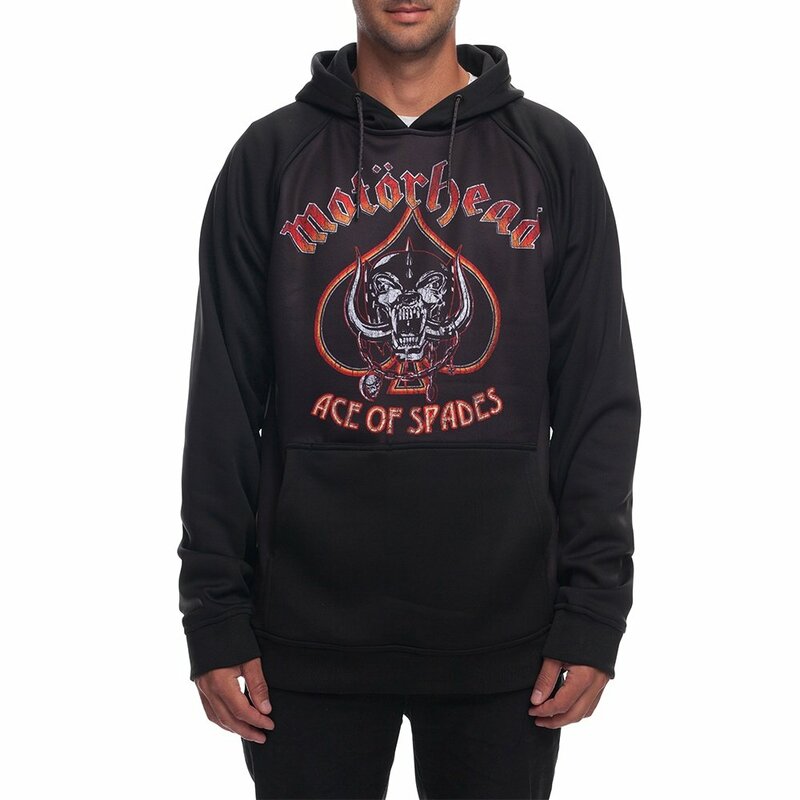 Bring a little metal to the mountains in the 686 Motörhead Bonded Fleece Pullover, part of a limited-edition collaboration with 686. This supremely comfortable, loose-fit hoodie is perfect for pulling over your base layer to go from slopes to apres quickly enough to catch all the happy hour deals. Thumb holes and a hidden stash pocket are built-in features you'll love, and an oversized front pocket provides extra space for your gear. The Motörhead Bonded Fleece Pullover has a DWR finish in case you get caught in flurries on the way into the village.